Wow, I am certainly making up for my NaNoWriMo break I took in November (break in that I posted a lot less on my blog than usual, though I did write every day on my novel project). I guess it is the Christmas season. There is just so much about this time of year that excites me be it the music or the sparkles or the gift giving, especially the Greatest Gift, the gift God gave so long ago and continues to give through His love and forgiveness. I am much better about writing about the little joys than I am about big, deep things. I was once told that I write happy well. I think that's simply because I've had much more experience with happy than sad. I've seen how the world can work when it does work according to plan and even the hard times in my life, which are significantly less hard than many of my peers, have always ended up for good. Because of this I have a lot of faith that good things can and will happen and that often being kind is rewarded. I savor little pleasures because why shouldn't I? That's what they are there for. 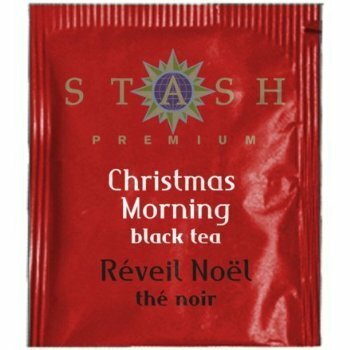 Christmas Morning Tea by Stash Tea is probably my all time favorite blend of tea. It is, unfortunately, seasonal, but I try to buy extra every year. This year I got a coupon for $10 off any order $10 and above from stashtea.com and spent it all on Christmas Morning Tea. Since I had the coupon code I only had to pay shipping. A bonus is that I accidentally forgot to correct my shipping address from my old address to my new address and they were quick to fix it when I emailed them, so good times all around. If you sign up for their email newsletter you will get access to regular coupon codes which is awesome if, like me, you are a habitual tea drinker. And string them across one of my kitchen windows, connecting to the shutters on either side because I didn't have the curtain rod set up used in the original pin. I have a lot of pieces yet to make, but here are three of them (Mary, Joseph, and a partially finished angel). I am working off of this pin here. The original pattern is in Spanish so you have several options: google translator works fairly well; you can try and translate using your own Spanish skills; and the pictures are pretty self-explanatory. I'm using a combination of two and three and I'm pretty proud at how my long neglected Spanish language knowledge is holding up. Well, that's it for now! Merry Christmas to all of you! Cute hand towels! 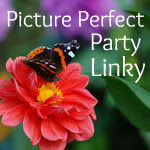 Enjoy your holidays and thanks for linking on my Picture Perfect Party Link! Lovely and fun things you have. I never thought of crocheting a nativity scene!